UGAT – AIMA 2017: Under Graduate Aptitude Test- All India Management Association (AIMA) This aptitude test commonly known as UGAT BBA 2017 This aptitude test is conducting year for the BBA admission. Undergraduate applicant has applied for the Under Graduate Aptitude Test AIMA 2017. This examination is on the National Level for the undergraduate applicant. Aptitude test is conducted by the All India Management Association (AIMA). Aptitude test is conducted by All India Management Association (AIMA) every for the BBA Admission. Eligibility criteria are the think which is every applicant have to clear the aptitude test. Eligibility Criteria of UGAT BBA 2017 which is given down. Before applying for the process applicant have to meet the eligibility criteria for the test. Candidate will have two passed their 10+2 education qualification from recognised education board. Applicant has to score minimum 50% in 10+2 class from recognised board. A candidate who is resulted still not come the can also apply for this. Minimum age limit for the post is 17 year. All the UGAT BBA 2017 Important Date are given here. For the applicant, these dates are use full. Following are the important dates are as follows. All the above given date are not conform here we will update all the Important dates after the official notification. Application form filling is compulsory for the eligible applicant. The process to fill the application form is given down applicant can refer it while filling the Application Form of UGAT BBA 2017. The candidate has to register on the official website of the UGAT. After the regeneration, the applicant has to click on the Application form. Attach all the Asking document. Pay the application fees through the Debit, Credit card. Applicant has to pay the application fee along with the application form. Thus is the compulsory to pay the application fees. Application fees charge by the associations is Rs 500/- which Applicant can pay by the Debit Card, Credit Card or also can pay by using Net Banking. Rs 450/- applicant can pay by the DD for the offline applicant. While filling the application form applicant can pay the application fees. Hall ticket applicant will get on the official website of the UGAT. That applicant who fill the application form they will get the UGAT BBA 2017 Admit Card. Through the admit card applicant will know about the examination centre and place address of the centre, Roll Number etc thinks will know through the application form. Without the Hall Ticket of UGAT BBA 2017, the applicant will not be allowed to entered in the examination center. Along the admit card applicant also have to carry the photo identity card in the examination and read all the given information which is given in the admit card. The result will be announced on the official website. Through this result, the associations declare the cutoff list. This examination is conducted by the AIMA which will announce the results after the examination. Following are the process to download the Result of UGAT BBA 2017 which has been showing down. Firstly click on the official website. Then Click on the UGAT BBA 2017 Result link. Do not forget to download the examination result. Cut off will be announced after the examination centre. 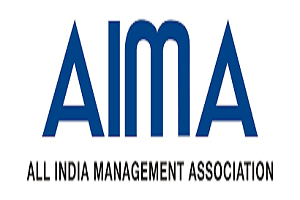 The Cut off the list will be prepared by the All India Management Association (AIMA) every year. On the basis of UGAT BBA 2017 Cut Off department will make a shortlist for the counselling process. The candidate who wishes to get more information about the UGAT – ALMA (Under Graduate Aptitude Test-ALMA) they just have to click on the UGAT BBA 2017 here applicant will get all the information about the aptitude test and admission process. The applicant will know about the application process like eligibility criteria, Application Form, Important date and many another process to apply for the aptitude test. This examination is National Level examination which is conducted every year for the BBA admission. Commonly this aptitude test is called UGAT. UGAT BBA 2017 Application form filling is still not started by the association.